This blog has been sponsored by Nature's Bounty® Earthly Elements™. I have been compensated by Nature’s Bounty, and free products were provided by Nature's Bounty for review. After discovering essential oils a few years ago I was impressed by their many benefits but also hesitant to use them on a daily basis due to their expense. That all changed when I was recently introduced to Nature’s Bounty® Earthly Elements™ aromatherapy essential oils. I am now hooked on the Earthly Elements™ brand. The 100% pure essential oils are high quality yet affordable. 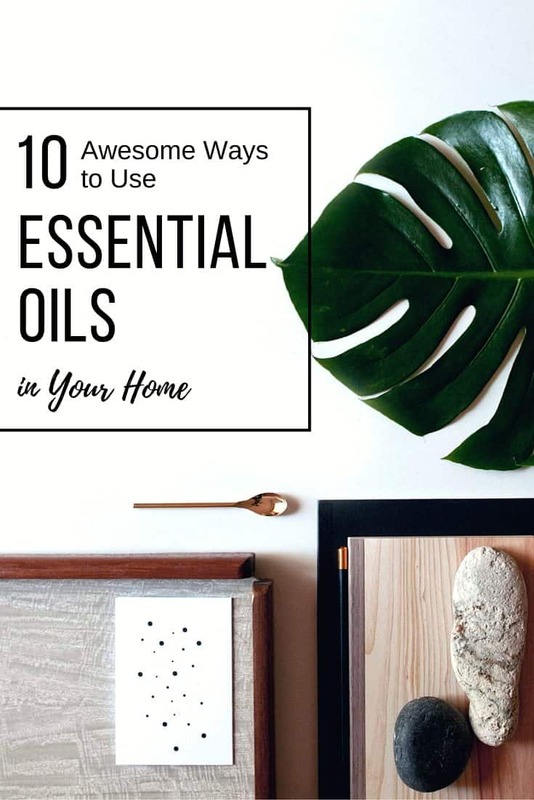 It seems that since I have starting using Earthly Elements™ essential oils I have been finding more and more ways to use essential oils in my home. Soak a cotton ball in your favorite essential oil and then place it in your vacuum bag. The scent from the essential oil will fill the air when you vacuum. Deodorize carpets by mixing Peppermint Oil, Lavender Oil, or Lemongrass Oil with baking soda and sprinkling onto carpet. Let it sit for 30 minutes then vacuum it off. This works great on car upholstery as well. To deodorize and freshen your trash bins sprinkle a few drops of Lemongrass Oil or Grapefruit Oil into baking soda and then sprinkle the mixture into the bottom of bins. Before changing the air filters in your home sprinkle a few drops of your favorite essential oil right onto the new filter. Say farewell to stinky shoes with a few drops of Lavender Oil, Peppermint Oil, or Thrive Oil. You can either sprinkle a few drops right into your shoes or sprinkle a few drops onto cotton balls and place a cotton ball in each shoe overnight. Sprinkle a few drops of Grapefruit Oil, Lemongrass Oil, or Lavender Oil right onto your dryer balls to help give laundry a lovely scent without the need for dryer sheets. Works like a charm! Add 15-20 drops of your favorite essential oil in a spray bottle filled with water and shake it up very well. Spray the bottle to freshen the air around your home. Eucalyptus and Rosemary work well to remove the smell of smoke, while Grapefruit and Lemongrass are perfect for a general refreshing and fresh scent. Combining a few drops of essential oil with a carrier oil such as Almond Oil makes for a perfect massage oil. Jasmine, Grapefruit, Lavender, Eucalyptus, and Chamomile all make for great massage oils when mixed with Almond Oil. You can also use essential oils in DIY recipes to make bath bombs, soaps, body butters, sugar scrubs, and masks. Adding a few drops of Lavender, Peppermint, or Grapefruit Oil makes for a relaxing and calming spa-like bath experience. 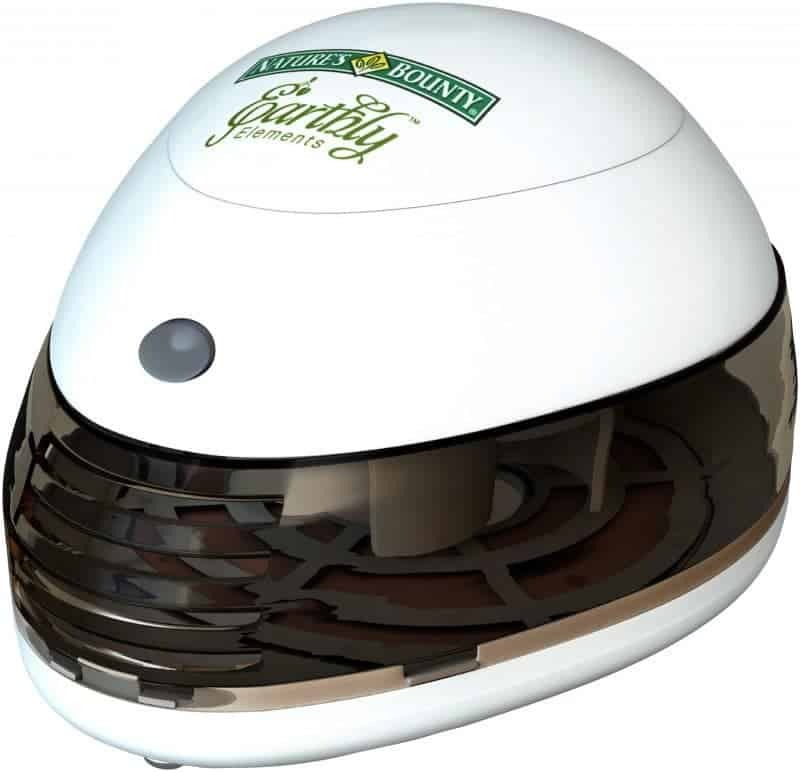 A clear #1 on the list, diffusing essential oils in a diffuser such as Nature's Bounty Earthly Elements Aromatherapy Diffuser is the easiest way to enjoy their aroma and aromatic benefits. Diffusing Peppermint Oil can help aid concentration and focus. Diffusing Lavender or Jasmine aides in relaxation. A few drops of Thrive Oil can purify and freshen the air. Also I will let you in on this little secret of mine – when I am cleaning the house I like to diffuse a citrusy essential oil like Lemongrass or Grapefruit oil – it makes the house smell super fresh and clean! Take a look at the chart below for ideas on blending essential oils for use in your diffuser. My personal favorite is the Breathe diffuser blend. I hope that this list gives you plenty of ideas of ways to use essential oils. If you are still in the market for affordable essential oils I would recommend checking out Earthly Elements 100% pure aromatherapy essential oils available at Walmart®. Before you know it you will be finding that you too are enjoying the many benefits to the essential oils on a daily basis in your home. I am loving what you can do with essential oil ,never thought to put any on my carpets. great idea. Thanks for sharing these great ideas. Love the one about putting it in the filter.